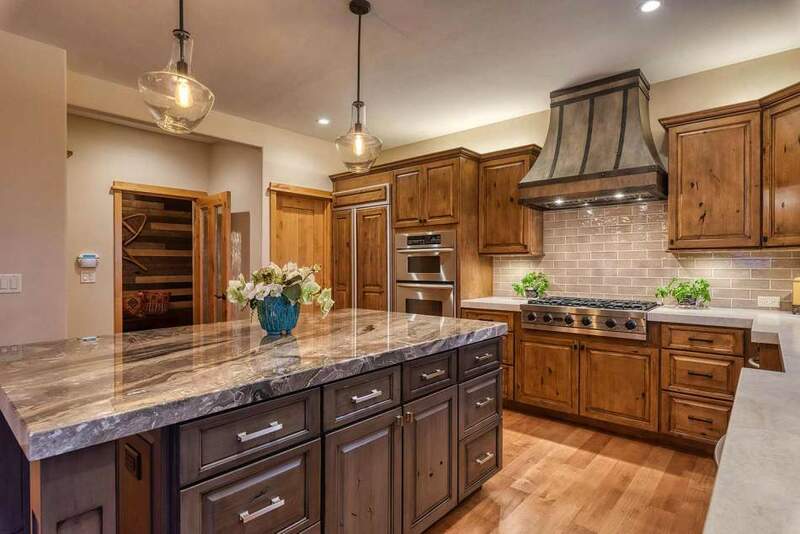 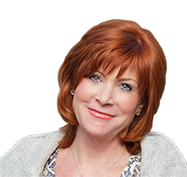 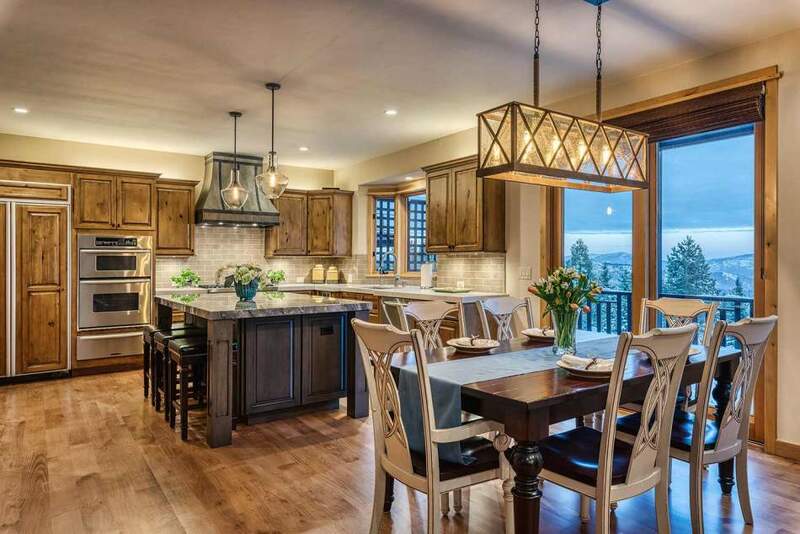 Welcome home to this spectacular, spacious and extensively remodeled retreat offering stunning, panoramic views of the Carson Range, Northstar, sunrises and sunsets. 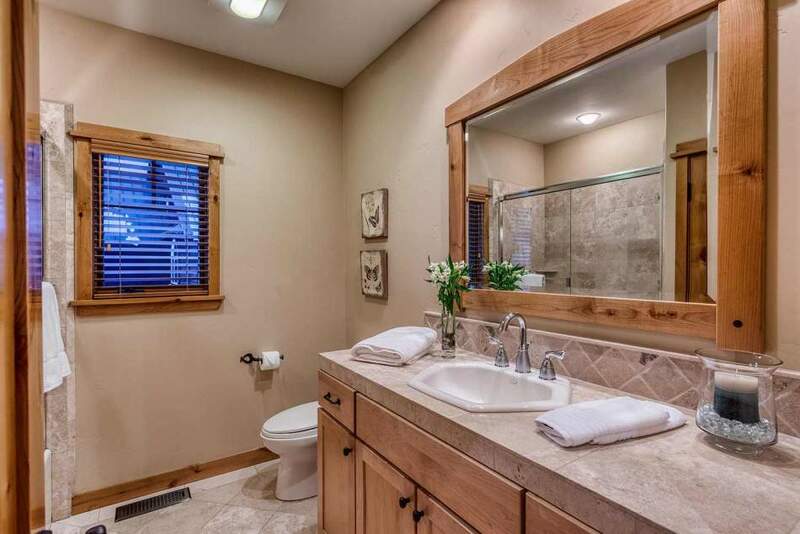 Unique in features and design, rarely does a property of this caliber become available. 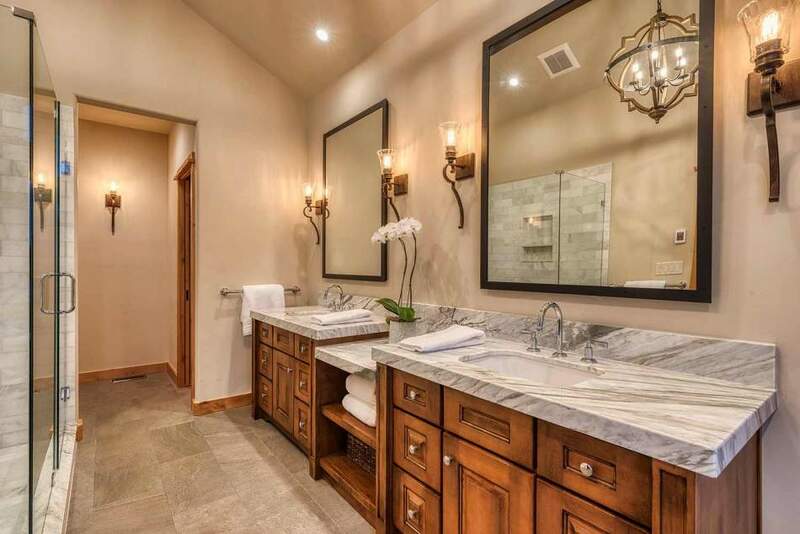 Spanning three comfortable and thoughtful living levels, this five bedroom chalet is finished with beautiful, quality materials throughout including three gas fireplaces, designer attributes such as a Victoria + Albert Amiata soaking tub, custom barn doors, leading appliances, custom lighting, extensive use of Taj Mahal quartzite, Calacatta and Grey Orobico marble slabs and so much more. 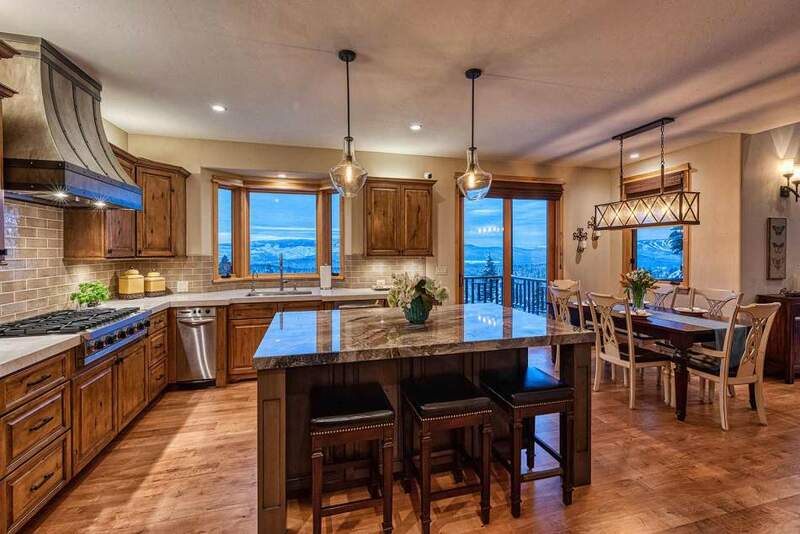 Bringing easy living to the mountains, family and friends will enjoy entering on the main living level offering magnificent views from every vantage and enjoy the lovely great room with soaring ceilings and gas fireplace, adjacent sitting room (or executive office), comfortable dining and delightful chef’s kitchen with pantry and all the conveniences for entertaining. 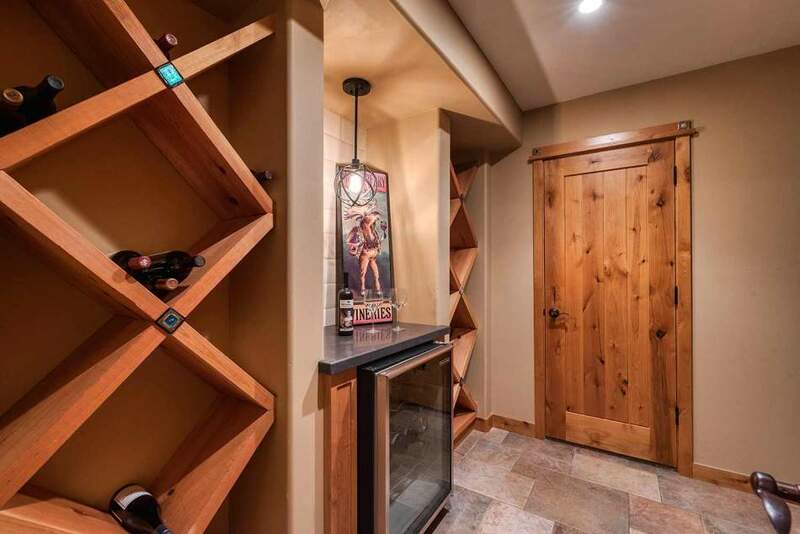 Accoutrements such as the custom mudroom off the spacious garage, large wine room, powder bath and extensive storage complement this property’s design. 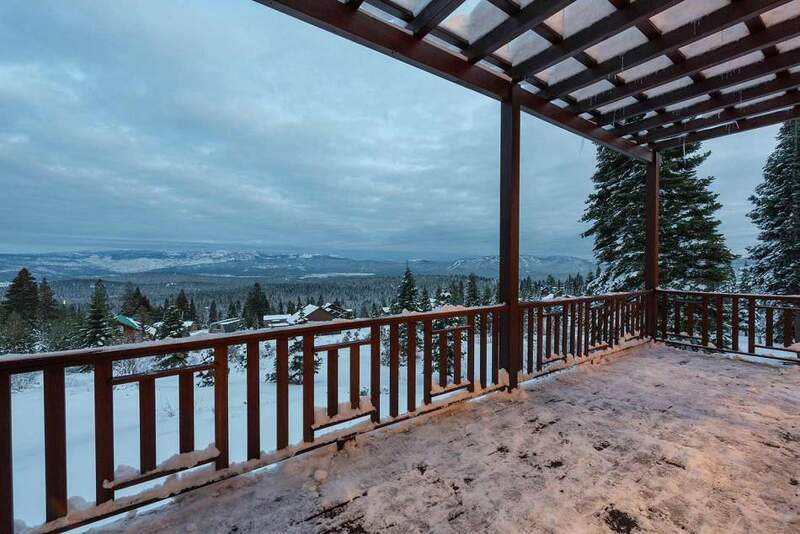 Year-round, the spacious, sunny deck overlooks the amazing vista views, nature and greenbelt from this large, .48 acre home site. 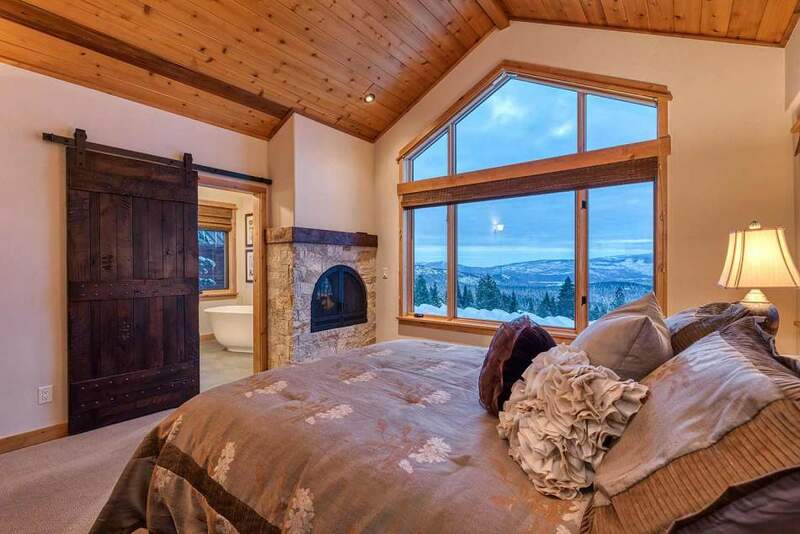 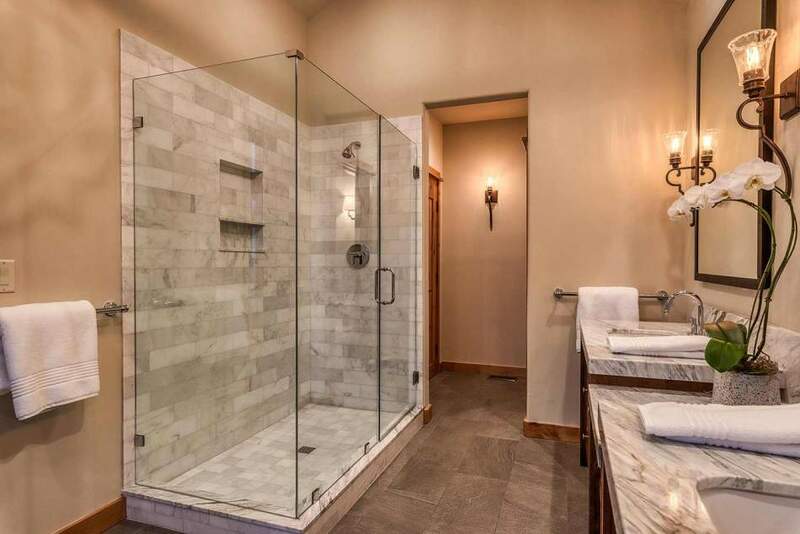 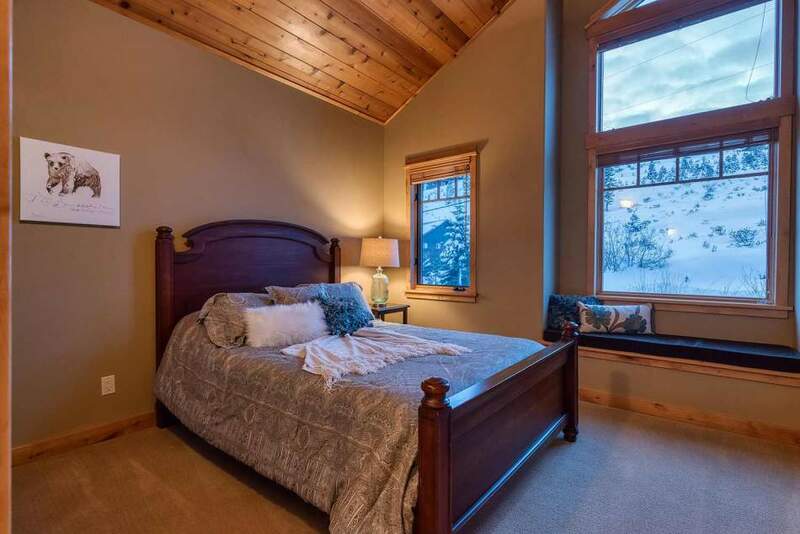 The luxurious, upstairs master suite brings a relaxing and elegant environment with a beautiful en-suite bathroom with radiant heated floors, custom barn door, fireplace, walk-in closet and forever views! 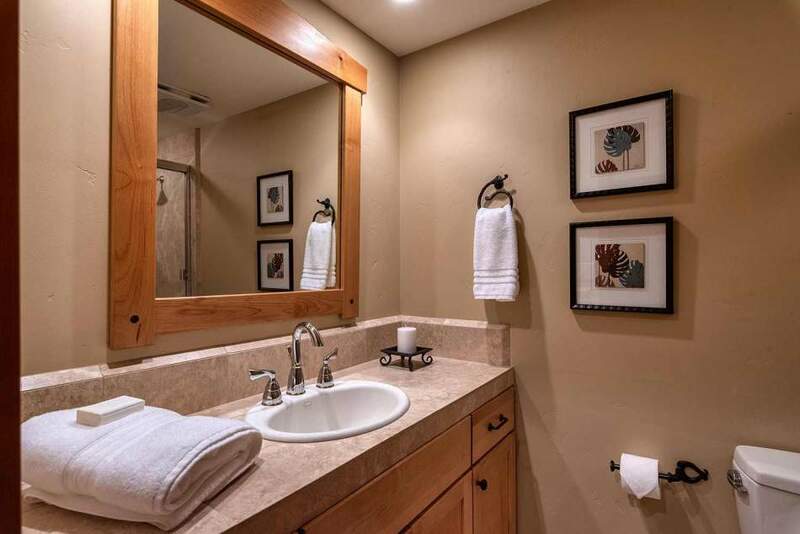 Just down the hall are two spacious bedrooms, shared bathroom and laundry room. 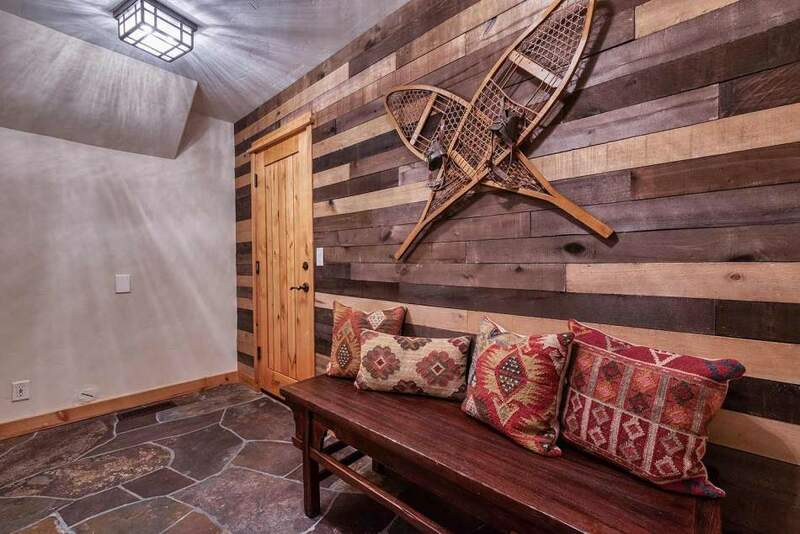 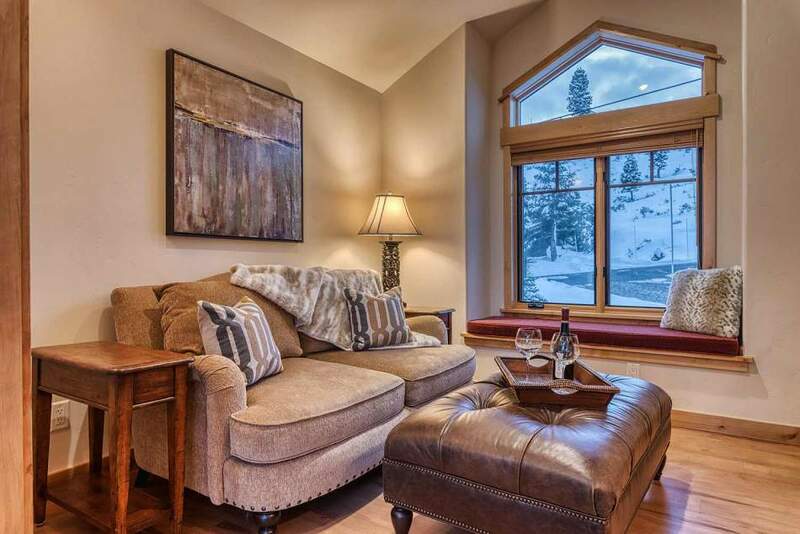 Downstairs, the delightful family room offers space for everyone with easy indoor-outdoor access to the lower patio and grounds – ski in and out, snow shoe or Nordic ski – it’s here! 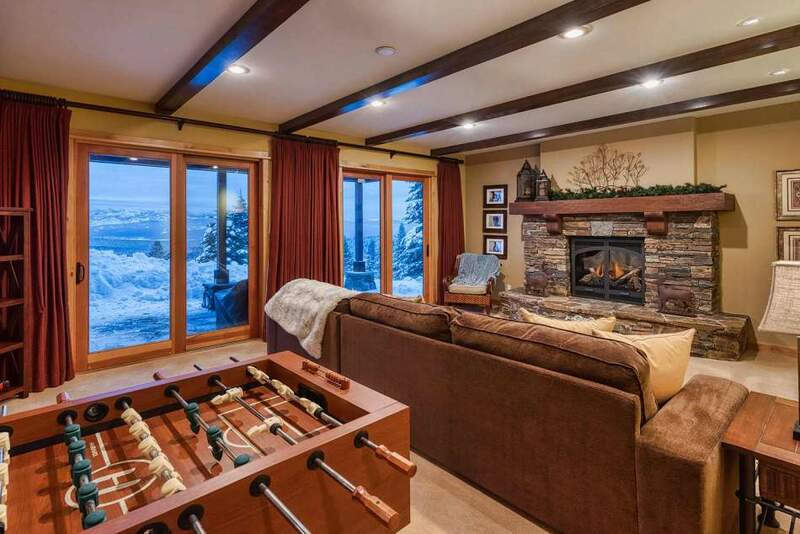 Enjoy cozy afternoons and evenings together, this area is perfect for playing foosball, board games and watching movies! 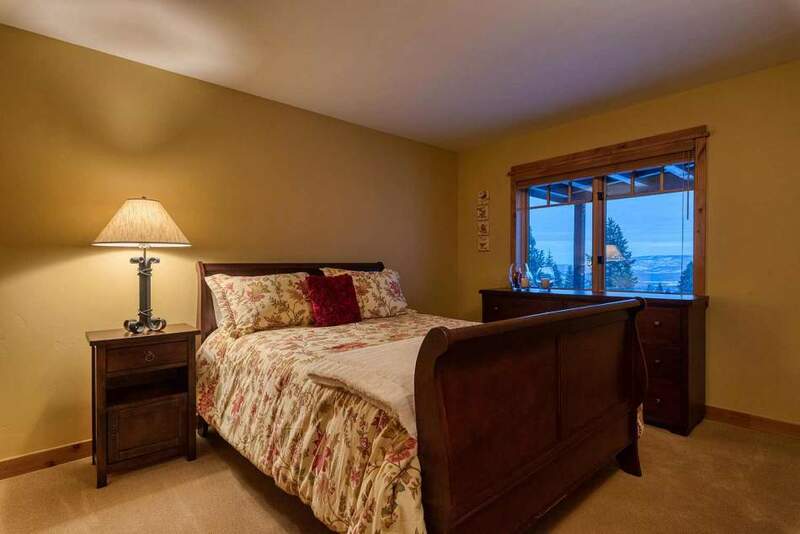 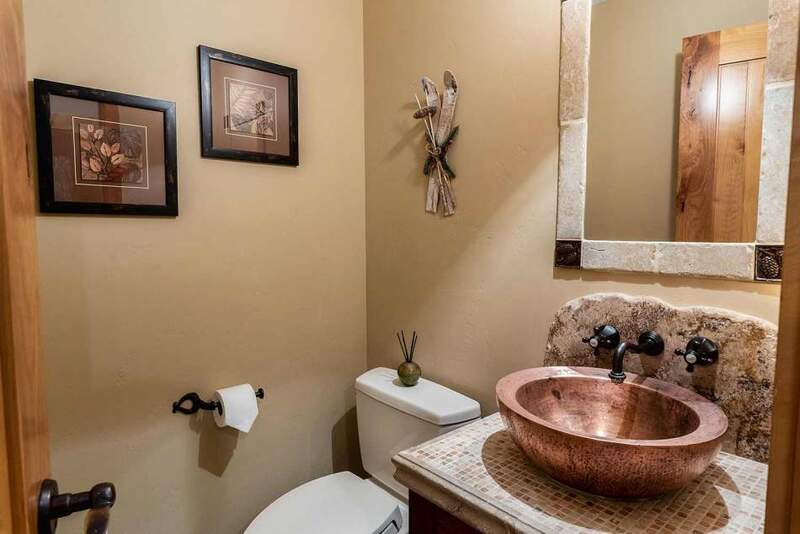 Two additional bedrooms, full bathroom, and wine room are adjacent to this gathering area. 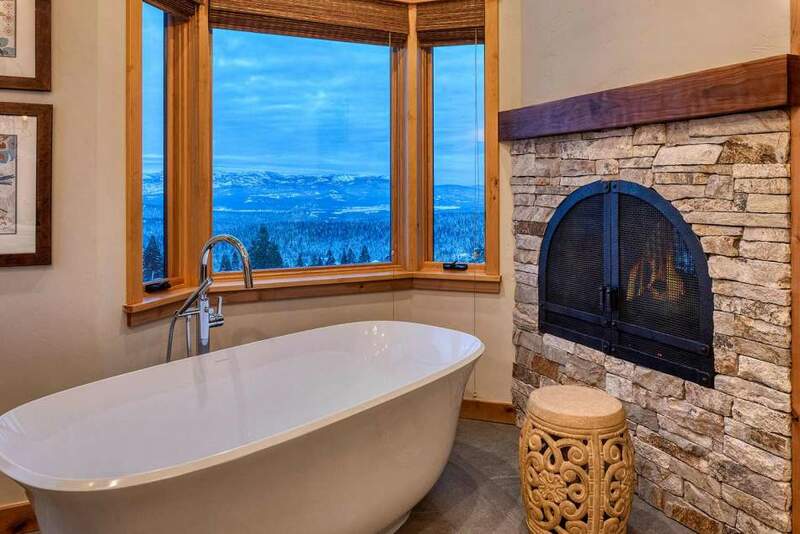 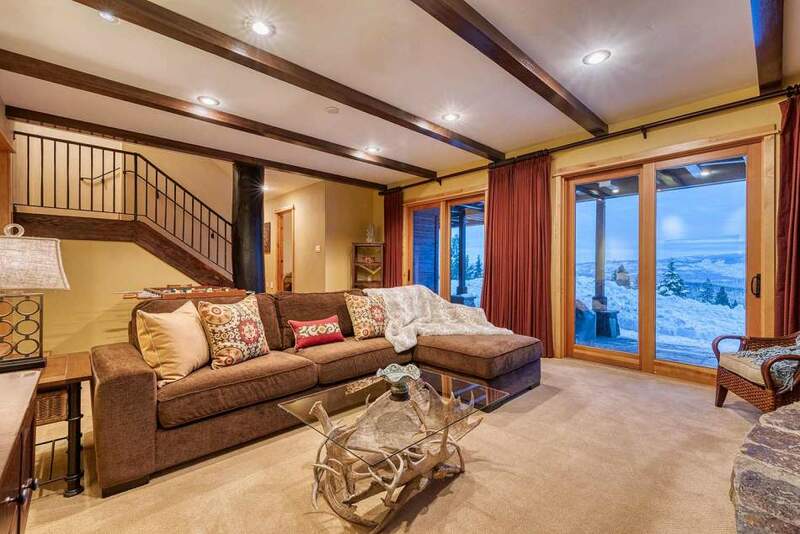 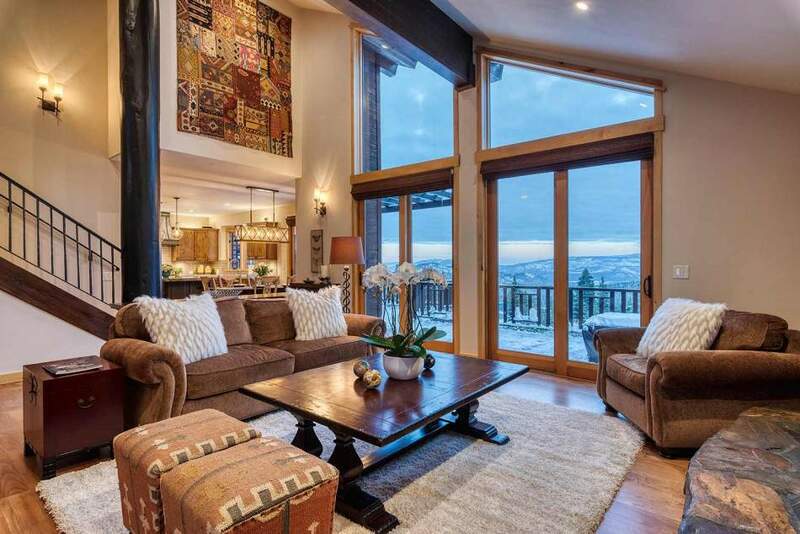 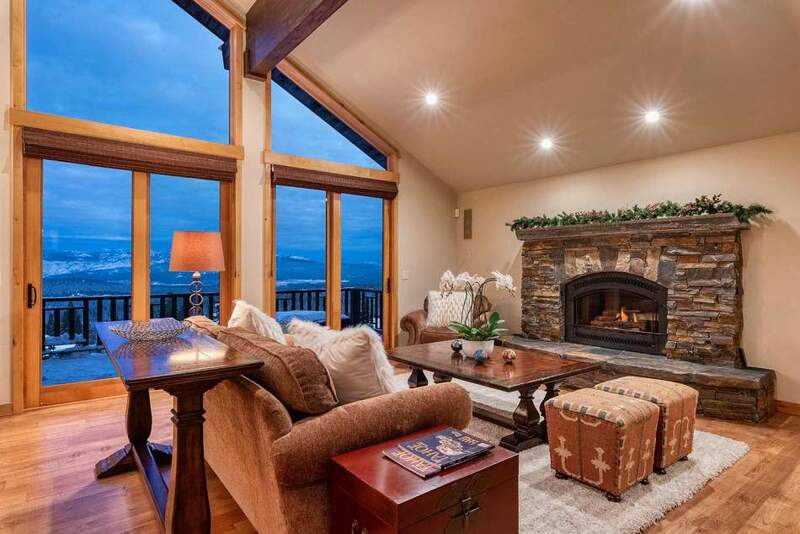 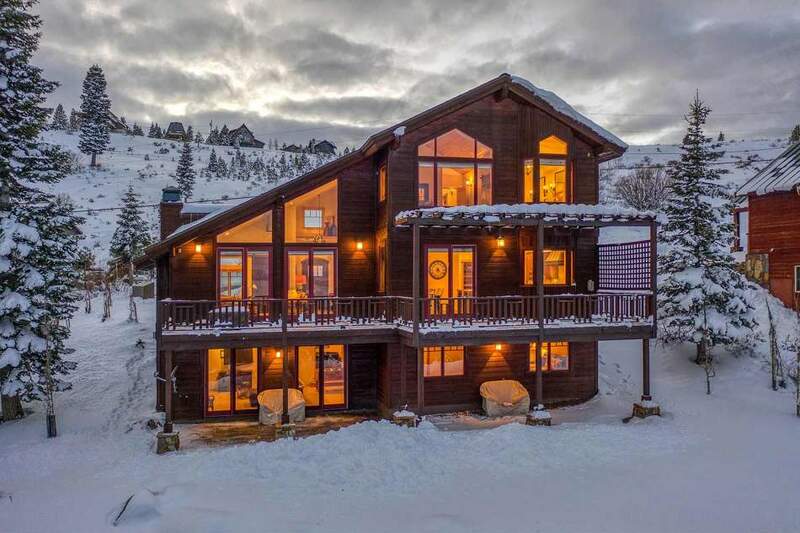 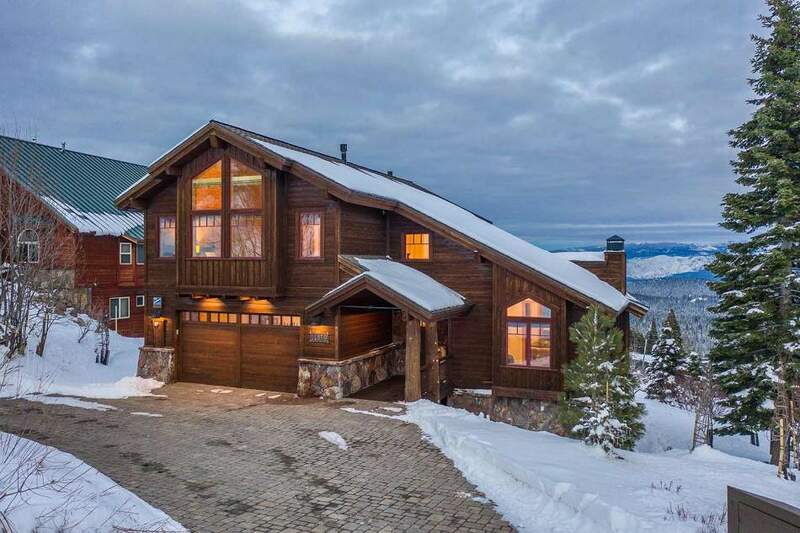 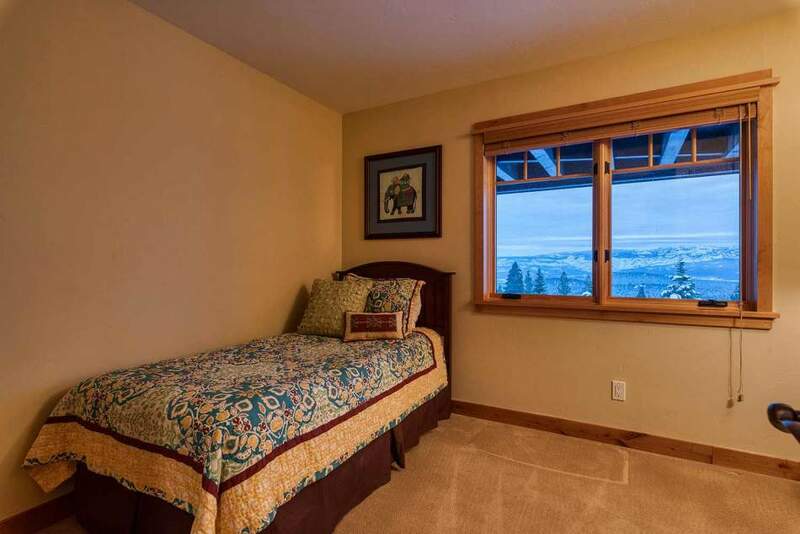 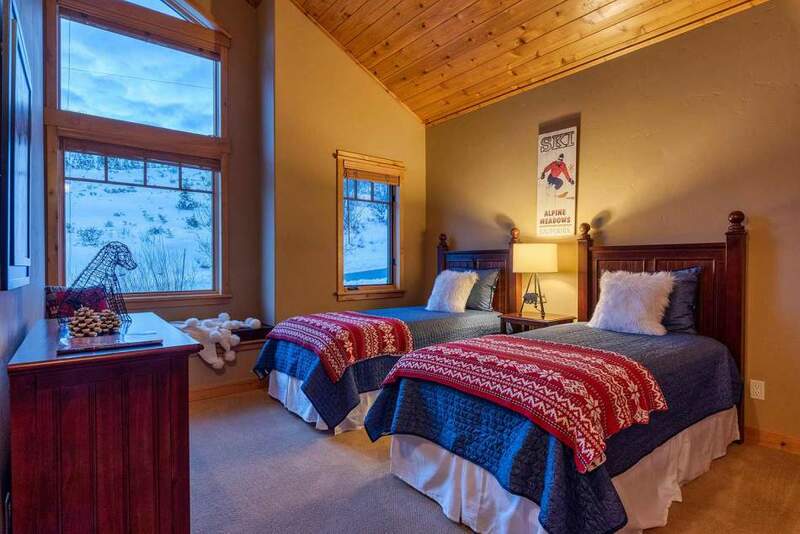 Perfect for families who are “view” and outdoor-oriented, this property combines style, warmth, elegance and quality together, integrating a special mountain environment with the Tahoe Donner lifestyle.